From baby to big kid! 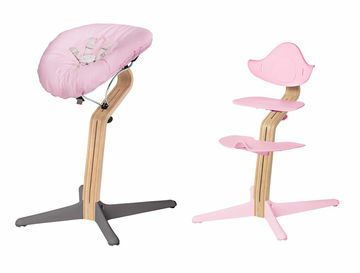 These seats convert from perches for first foods to boosters and even play chairs. 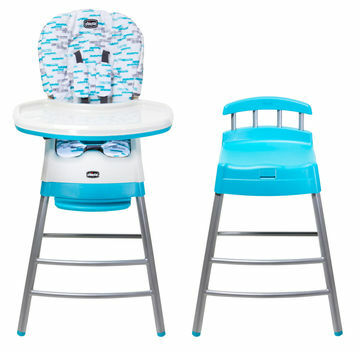 Chicco’s Stack 3-in-1 High Chair goes from its traditional look (left) to a booster high chair you can strap onto a seat in your kitchen or at a restaurant (not shown) to this cute and colorful kid’s stool (right). $130. The Jonathan Adler Crafted by Fisher-Price Deluxe High Chair works in full-size or space-saver mode, finally becoming a booster seat. Also nice: The smooth straps wipe clean and don’t trap crumbs. $200. 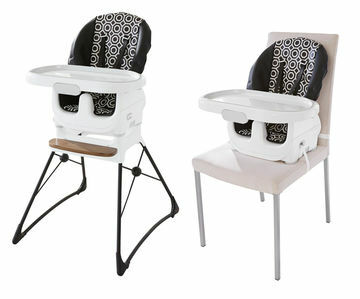 Invest in the infant seat (left) to use the Nomi High Chair from day one. It transitions into a high chair for use at the table (not shown) and then a high-backed kid seat (right). 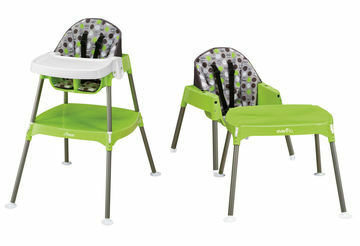 High chair, $299; infant seat, $169. 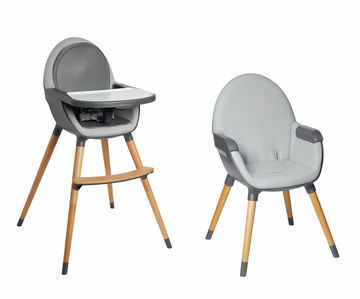 The sleek Skip Hop Tuo Convertible High Chair has a reversible seat pad so you can change up its look. Later it becomes a modern kid’s chair for the living room. $160. This one’s a bargain, and such an adorable idea: Evenflo’s no-frills 3-in-1 Convertible High Chair can transform later into a little preschool chair and matching play table. $60.